Three Essays on Cause and Effect of CEO Disciplining. Dissertation von Maximilian Bader, Verlag Dr. Kovač 2014, 142 S.
This study is based on empirical finance research in the field of corporate governance. 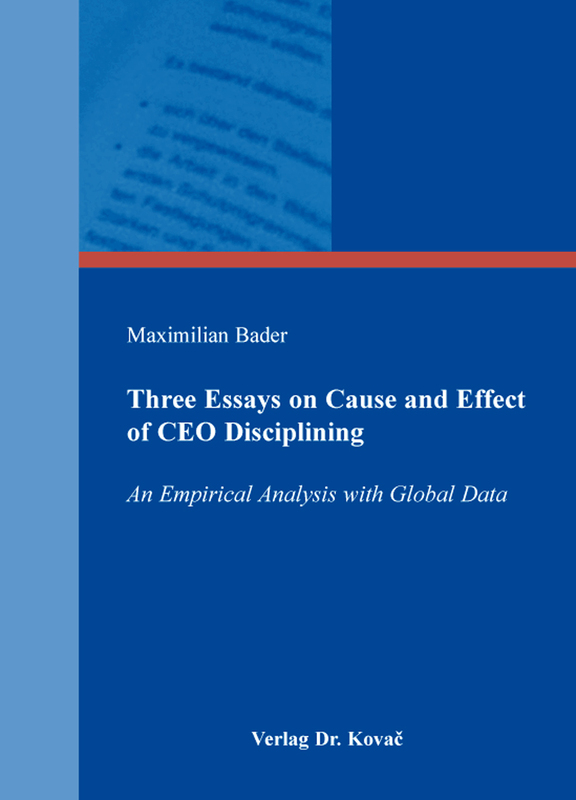 It examines cause and effect of CEO disciplining with three self-contained essays. For a global data sample, events of CEO dismissal are used as a proxy for active monitoring by boards. The essays deal with i) relative performance evaluation, ii) the impact of institutional investor ownership on CEO disciplining, and iii) the effect upon CEO turnover announcements on shareholder wealth.